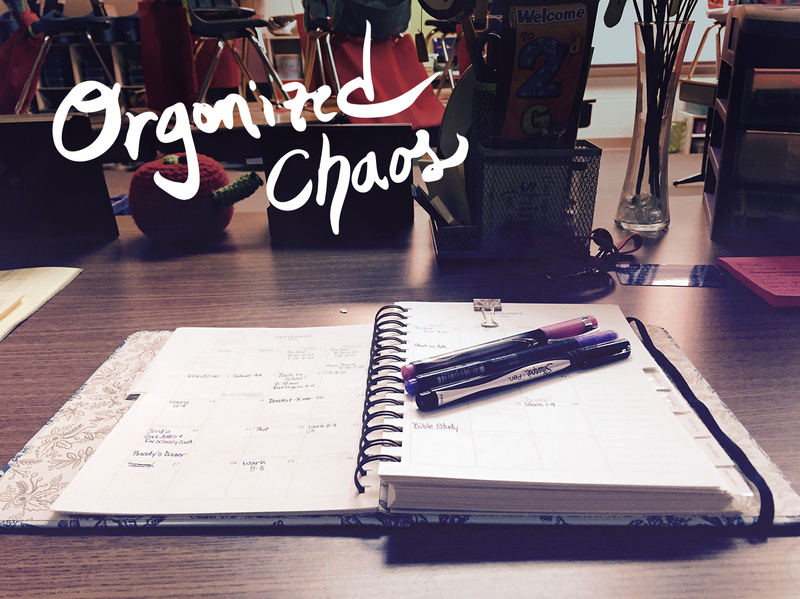 There is something about being organized that makes me breathe a sigh of relief. I cannot manage 27 second graders, let alone my own life, if I am not on top of things. If the tool I’m using to organize myself is beautiful? Even better. This year I finally broke down and bought a Rifle planner. I’ll be honest, every year when the school supplies roll in at 6.25, I have had a mental dialogue about whether or not to splurge on a planner. 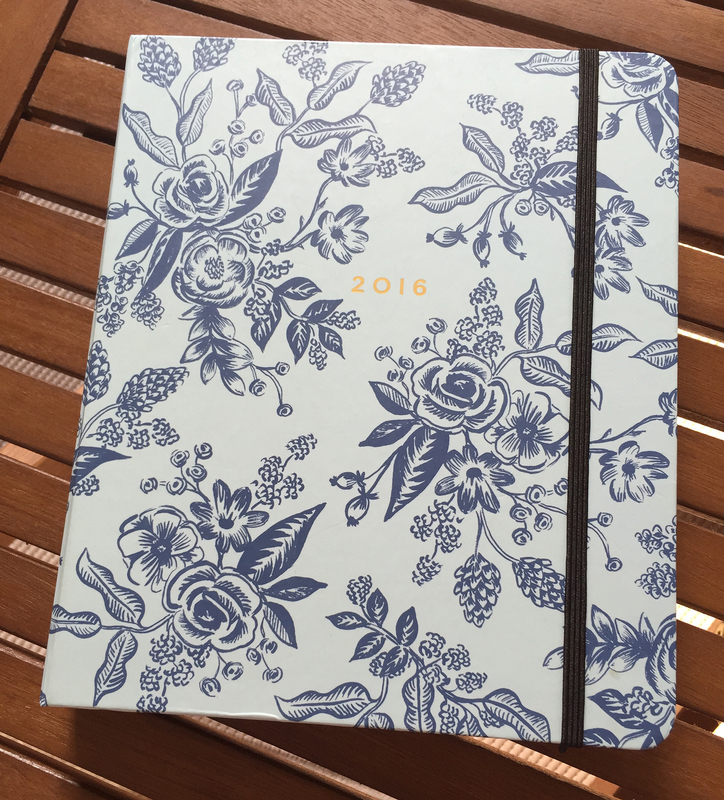 This year, though, I saw the blue flowered Rifle planners come in and I just knew something so pretty would make organizing my schedule actually enjoyable. It may be old-school, but writing my schedule down on paper makes me feel much more put together than simply plugging it into my iPhone. I like being able to see everything laid out in front of me. And feel the paper. And use pens. Multiple colored pens that represent different categories of events (this is the teacher part of me coming out). Another habit of mine is making multiple lists on post-its and then sticking them in my calendar. Or on my lesson plan book. Or really, anywhere. By the end of a full day of teaching, my well intentioned organization feels overwhelming and scattered. This Rifle planner has enough room for me to make my own built-in lists for each day. Then, most importantly, there are little boxes next to each line where I can make a satisfying check mark when I accomplish something. It’s the little things that count. The school year started this week and I can honestly say I feel more prepared than ever. Maybe it is the extra week we had of summer…but I like to think it is because of my pretty little Rifle planner.